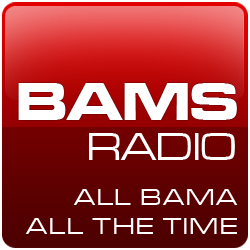 I Bleed Crimson Red has teamed up with BAMS Radio to bring you exclusive, live updates from SEC Media Days, starting Tuesday night. BAMS will have a credentialed correspondent at the Wynfrey Hotel in Hoover, Alabama and we will be providing near real-time updates. The updates will be transmitted to the blog via direct link, and the blog software will automatically Tweet those updates to IBCR’s ever expanding group of Twitter followers. Coverage begins Tuesday night and runs through the end of the event late Friday afternoon. We’ll have breaking news as it happens, we’ll try to get a few key interviews and we’ll try to share some exclusive photographs of coaches, players and other SEC football celebrities.